Hormann Entrance doors from Fenland Garage Doors Ltd, across Norfolk and Cambridgeshire. 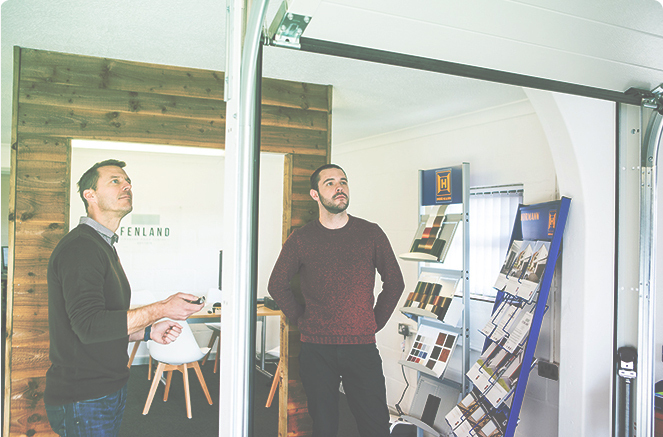 As a Hormann partner, Fenland Garage Doors Ltd is now offering the Hormann Thermo65 and Thermo46 doors range – a range of the very highest quality aluminium or steel insulated front entrance doors with unique contemporary features and very high levels of security. Many of the doors have been designed specifically around the very latest range of sectional doors from Hormann. They give a co-ordinated appearance in finish and design. Hormann entrance doors are ideal when your garage door is on the same elevation as your front door. Thermosafe entrance doors have high insulation thanks to a 80-mm aluminium door frame with thermal break. Furthermore, they have standard RC 3 security equipment with a 5-point security lock and a selection of over 70 styles, these are only a few of the convincing arguments Hormanns ThermoSafe entrance doors have to offer. The style and design features in this range of steel and aluminium doors really are superior to the current trend in UPVC and composite doors. 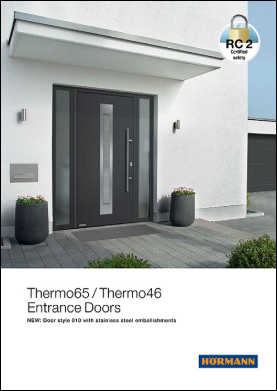 The Thermo65 front door with steel door leaf and aluminium frame offers good thermal insulation values and high break-in resistancewith a 5-point security lock. Last but not least, Thermo65 has an excellent price-performance ratio. Talk to us about coordinating the appearance of the entire front of your home with the Hormann Range, we also offer Hormann Sectional Doors, Up & Over Doors and Roller Doors.